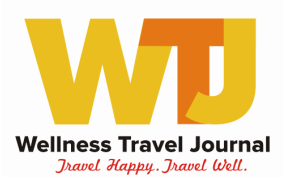 The Website and its Content is owned by Wellness Tourism Worldwide, LLC (“Company”, “we”, or “us”). The term “you” refers to the user or viewer this Website. All of the content on this website including words, graphics, photos, images, design, layout, documents, data, and all other information and intellectual property accessible on or through this Website (“Content”) is our property and therefore is protected by United States intellectual property laws. Our Limited License to You. This Website and its Content is protected by copyright, trademark, and intellectual property laws and it is property solely owned by us and/or our affiliates or licensors, unless otherwise indicated. If you purchase or access our Website or any of its Content, you are considered our Licensee. You are granted a revocable, non-transferable license for ONLY personal, non-commercial use only AND ONLY limited to you. As a Licensee, you both understand and acknowledge that our Website and its Content have been developed by us through the investment of significant effort, time, and expense. You also both understand and acknowledge this Website and its Content are valuable and unique assets of ours which need to be protected from improper and unauthorized use. You may not use this Website or its Content in a way that that has not been authorized by us and constitutes an infringement of our rights. You will not duplicate, copy or steal our Website or Content. You understand that doing anything with our Website or its Content that is contrary the limited license we have provided to you and to these T&C is considered theft. Therefore, we reserve our right to prosecute theft to the full extent of the law. From time to time, you are permitted to download, and/or print one copy of individual pages of the Website or its Content, for your personal, non-commercial use, ONLY IF you give us full attribution and credit by name, keep intact all copyright and other proprietary notices. If used electronically, you MUST include the link directing back to the Website page from which the Content was obtained. You are strictly prohibited to use, copy, adapt, imply or represent that our Website or its Content is yours or created by you. By downloading, printing, or otherwise using our Website Content for personal use you in no way assume any ownership rights of the Content – it is still our property. That includes audio - you are strictly prohibited from transcribing video and audio recordings and distributing or using in ANY way other than for your personal, non-commercial use. You are strictly prohibited from modifying, copying, reproducing, republishing, uploading, posting, transmiting, translating, selingl, marketing, creating derivative works, exploiting, or distributing in any manner or medium (including by email, website, link or any other electronic means) any Website Content because that is considered stealing our work. You are granted a limited license to enjoy our Website and its Content for your own personal use, not for your own business/commercial use or in any that earns you money, unless we give you written permission that you may do so. To cause inconvenience, annoyance, or needless anxiety.